Being a mom brings with it an element of unselfishness. I tend to worry more about my kids, their needs, their wardrobes long before I worry about mine. Every so often it is nice to be able to have something just for me. I think most moms would agree. Which is why today's giveaway is so fantastic! It is all about you. There's nothing for your kids or your significant other, only you. Layers has long been a favorite of mine. From their basics to their dresses you can't go wrong. Their clothes are comfortable and stylish and basically perfect for every mother. The clothes fit true to size and the styles and colors are brilliant, the prices reasonable, and we can't forget the incredible styling of the photos. I think this cardigan would be at the top of my list... if only they could guarantee I'd look like the girl in the picture, life would be perfect. What Layers style will you be adding to your cart? Good luck and thank you Layers! I love layers. I would love to add one of their dresses to my closet! the trixie tops my list! thanks! I'd love to get the Louise dress! I love the Fiona wrap sweater dress, but they are all beautiful! I'd have to choose the Evelyn dress. Beautiful! I don't know how I would pick, but I think I'd have to spring for some basic T's and shirts... mine are all running a little threadbare. It's a toss up between the Jackie O and Evelyn, both are to die for!! i would go with the ruthie and matilda! thanks for introducing me to layers!! That cardigan is also one that's ben on my mind for a while! I love it! So comfy and can expand with my growing baby belly! I think I would add the Billie dress to my wardrobe. I's so cute! that's hard...but i really love the dresses...the billie dress would be perfect! I would say the portia looks really tempting! I love layers. The Jackie O or one of the other black dresses - I am in the market for a black dress for a wedding and one of these would be perfect. I love the cardigan too... also Eleanor is pretty awesome! Yay for a mommy giveaway! I like the Eleanor and Matilda. -Kristin R.
ooh! what a fun company. New to me. I would choose the Jane or the Elenor...i think! i love them all. especially the jackie o.
you're right ... if only i had the body to match!! I would have to pick the basic layering tees. They are my favorite and I am desperately in need of a new set for the new year. Yay! Layers!! I love the Eleanor top. The Billie dress and Ribbon tee. I think the Evelyn is fabulous. Love that Plum color! the trixie dress is fabulous! the double breasted belted navy dress is fantastic. The Presley swimsuit and some new layering tees. I love the shirt she's wearing under the cardigan. Wooftie! I love the Evelyn dress. It's perfect! Thanks! no question, the evelyn in scrumptious plum! lovely! i love the jane dress. it is super cute and looks really comfy. At this point, any of these dresses would be a great addition to my closet! cardigan's are both a fashion favourite & fashion staple, so i'd choose the florence cardigan...or the evelyn dress. win or no win, i'm so thankful for this link as i'd love to acquire some of these pieces. and yes, the styling is exquisite. can't help but like them immediately for the classic taste & feminine styles. Where do I even start? Elenor, Penelope, Trixie, Florence, Cecilia... I could go on. Hope I win! I really love the Eleanor shirt-so cute!! I love the look of the Crochet Classic shirt. That crochet just makes the shirt so darn cute. love the details on the matilda and eleanor blouses. I really like the Eleanor shirt. I could really use Ruthie and Eleanor after I have my first baby in a couple months! I love the Jackie o and the swimming suits. Layers has really cute stuff, never heard about it until now! I love the Fiona and the Jackie O! what gorgeous stuff!! I love Layers! It is so refreshing to find a company that offers clothing that is both modest and chic. I would love to see the Billie hanging in my closet! Love the Eleanor and the Florence. Layers is the best for tall women, and I'm 6'! I would love one of these dresses - it's so hard to choose! I think I'll have to say the Jane dress. Love it! Jackie O!!! I love it! There's just something delightfully classically European about Layers clothes. I adore them! I would stock up on some of the wide strap camis. I also love the long sleeve wrap sweater called the Fiona. Gorgeous! i'm a big fan of layers and think the fiona would be perfect for my post-baby wardrobe! I love the Jane dress, and it might even work while nursing! I love the Louise dress! Thanks for the giveaways! i'd have to add the matilda, the penelope, or the evelyn. I love layers - every single piece! Pick me!!! I just found out about them the other day! I love their clothes, my favorite is the Fiona sweater. A shopping spree?!! From LAYERS?!!! How Fun!! I really love how they pair the Jillian skirt with the Matilda shirt. The two would also be fun to wear seperately-Thanks!! I absolutely love the Jillian skirt. It's so cute. I love their dresses and their basic tees. Oh how I would love to win! LOVING their tops! Especially the Penelope and the Eleanor. Thanks for the great give-a-way! These styles are amazing! I love Billie but love the others as well. I am 8 mo pregnant right now but would love to go on a shopping spree for some after baby clothes...I really love the long cardigan and the matilda shirt...such great eye candy!! Layers Clothing has been a favorite for me too!! I LOVE their new selection of dresses...pick me!! The Florence cardigan in mustard color is my choice. These are great clothes! oooh! I love all of the choices, but the one that is calling my name is the Louise dress. I've been eyeing that same cardigan for a few months now! Jackie O, Evelyn, Fiona. Where to start. I would be thrilled to add any of them to my closet. Oh, dear that would be fun! I love the Jackie O. dress, but I would have to consider the tops, too! So many wonderful pieces! Wow a give away for moms! Love it! I would really like to wear the Portia dress this spring. It has been so long since I have had anything new for myself. Nice Giveaway! glenda, jane, rita and lulu should come home with me. Very hard to narrow the list but, if pressed, I'd say the Evelyn or Jackie O dress. Great fun on this gray morning! Thank you. I really liked the simple ribbon shirt that was in the clearance section, but I love the dresses too! The style of the Portia dress is my favorite. I've never seen Layers before...so cute! I'd have a hard time deciding between Trixie and Louise. I have been looking at Layers for a while too and LOVE the look of their clothes!! I would love to win this! I love the Jackie O. dress! So many cute options! I love the Glenda top! oh my gosh, I can not even choose, but I would probably go for one of the dresses, cause I have been looking for a really cute modest one, and I have been having a hard time, especially on a budget....I hope I win! what a great clothing line! love florence in brick! Love layers! I think I'd have to pick the Eleanor shirt or Matilda shirt. Maybe both! Great giveaway! the Athena skirt is pretty great (and even on sale). i love the jillian skirt. so many fun things to choose! Their clothes are so cute! I love how stylish yet incredibly modest they are!! I would love to add one of their dresses....or maybe a cardigan.... or...so much to choose from! i NEED that Trixie dress. in fact, I might need it all! I would also be adding the cardigan to my list. They are so cute and so comphy! I love Beverly! Please pick me!! I want and need this badly. I love the Evelyn dress. I love the cardigan too. I can't choose between Brick and Mustard though. Jackie O is Oh so cute. I love the beauty of a clean, white t-shirt like Frankie. Most definitely the Billie...love it! The Eleanor blouse is beautiful. Thanks! I love their basics, especially Lulu. 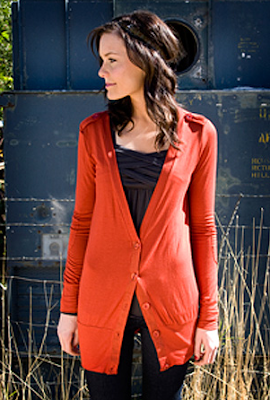 I love the Penelope cardigan. Gorgeous! Hmmm, I really like that Jane dress! Definitely the Jane dress! Kristin H.
i love the Beverly dress, but the mom in me has got to get the most bang for her buck. with that being said- i would add the crochet classic, the Lulu, and the Lizzie swimsuit! thanks for sharing- i've never been to that site before, but i'm sure i'm going back! Beverly has my vote. I love dresses. They are the perfect no-brainer choice. One piece = perfect! The Louise dress is darling! It's reminds me of a Coco Chanel number. Glenda is nice but I need all the basics! Their dresses look fabulous. I always need more dresses. I love love love Layers! I have been eyeing the Penelope cardigan for awhile! i have 2 of their dresses.... and will definitely be adding more! esp. if you PICK ME! PICK ME! What stylish stuff. I love the ceilia shirt. i also love the cardigan. cute color. there are some cute dresses too! I like the Florence cardigan and the Eleanor top. Their dresses are super cute too! I really like the athena skirt. 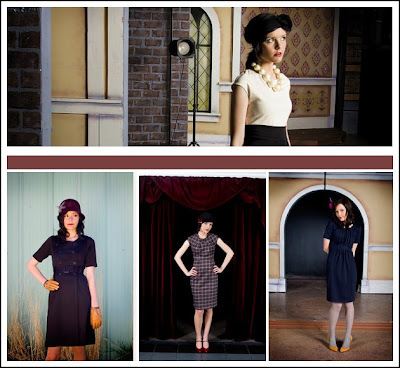 Check out the Jackie O dress or the Louise dress. Classics! ohhh, i cant decide on the dresses, i like them all! The Trixie Dress is sweet and sophisticated. It would be the perfect addition to my wardrobe. my favorite is "ruthie", a cross-over tee. what a great clothing line! Cecilia top is one of my faves but for dresses would choose Louise! I think I would love the Cecelia or the Glenda shirts... lovely!!! I would love any of their tops - especially Eleanor! those dresses are gorgeous! I need one! Love it! I so want the Milan cardiagan in olive! sign me up for any of there stuff!! it is so cute, the dresses are great as well! I love layers. I would love to win the Jane dress or Glenda top. I like the Greta dress. Thanks. love the eleanor shirt and the evelyn dress! I would add the "Classic Under Control" so when I win the give away I can get the others that I love and look good! That dress in the lower right hand corner is divine--I would love to have it! the florence! in mustard! how great are those elbow patches? I'd love the portia dress. So cute! wow that trixie dress is so fabulous...and if I win it I am getting me some yellow heels to go with it!! Ooo- I love the Trixie! I'd love the jackie o dress. Thanks! I think I would have to get Trixie and begin to wear cute dresses to work! I love the Trixie or the Jackie O.
I'd love to have the Jillian skirt. I am in love with their dresses! My favorite is the 'Louise.' Thanks! I love the "Rita" dress. It's gorgeous and chic. What an absolutely beautiful winter collection! If I had to choose one fave, it would be the Trixie dress. I love the Eleanor shirt and the Fiona wrap-so hard to choose from so many great items there! Just one? How can you pick just one? I guess the Jillian skirt is my most favorite but really I want all of it. One of their dresses for sure! I love their clothes, too and shop there often! Great Company! I love the eleanor and the penelope. My fave is the Fiona wrap sweater dress! wow, i had never heard of layers before and their stuff is great! i love the beverly dress, but that cardi you pointed out is amazing as well! I love the lulu top and the Crochet Classic top. Both are so basic yet lovely. I also really like ALL the dresses. So hard to choose, but right now I'd love the Trixie dress. I love that florence cardigan and I love layers! The Billie dress! That vintage silhouette is so flattering. I would get the Charleston Blouse and the Penelope cardigan. I love Eleanor, Ruthie, Cecilia...ok I love all of them! I'd choose a cute new dress. I love Trixie and Jane. Oh, all of Layers' dresses are to die for! My favorites are Evelyn and Jane. I love the vintage styles. Brynn: I love the crochet top, I love all of their clothes! i am torn between the versatile basics or a gorgeous dress that would make me feel pretty. what to do! ANY OF THE WRAP DRESSES- I AM DYING FOR! I AM IN DESPERATE NEED OF THE TEES TOO! I love the Greta! It's gorgeous! Great clothing, not too expensive either. I love the Tibet shirt and the Arlington shirt as well. I really love that gorgeous Cecilia top. Beautiful giveaway! The Louise dress is just lovely but the trixie tops are so cute also! my fingers are crossed!!! Love the elanor top or any of the dresses. So awesome! The pictures really are amazing. I loved the Trixie. They are all so cute. It's a toss-up for me between Eleanor and Evelyn! Cheers! the evelyn and matilda are both favorites, both beautiful. What a great shop!! I adore their clothes! I would have to get the Crochet Classic. Thanks for the chance! I could use some new camis and I love all the dresses. I'd like to add the Edie. Looks fabulous. jackie-o! how could i resist such simple beauty?! I would pick the oh so stylish Louise! so classic, love it!!!! I love the Beverly. Not sure it'll look good on me, need to lose a little weight. Love the Jackie O too! Wow- I dont think I can choose- course- this is definitely more stylish then my mom wardrobe. Thanks for the chance! I think the Trixie dress was made for me, it would be such a blessing to win! I have been looking at their site lately. I love their dresses, but since I don't wear them often, I would probably spend the money on a couple cute shirts. I love the Glenda top! A new, lovely dress would make me oh, so happy. The prices are fantastic! I'd get the Jane A-line dress. so pretty - and surprisingly resonable pricing, too! One of my favorites is the "Crochet Classic" top. Thanks so much for the giveaway! I think I am in the mood for a new dress! Love the Edie skirt, but anything would be nice! I would the Portia dress -- it's such a classic style! Wow, I love their stuff! I would love the Greta dress in black. So classy! Oooh I would get the LOUISE dress, so pretty! The basic classic lace in cream would be in my basket.